At First Parish, we invite your openness to transformation -- musically, spiritually, and intellectually. Our Sunday morning worship draws upon the richness of our earth-centered, Jewish, Liberal Christian, Transcendentalist, and ethical Humanist roots. Always, music is central to our worship. 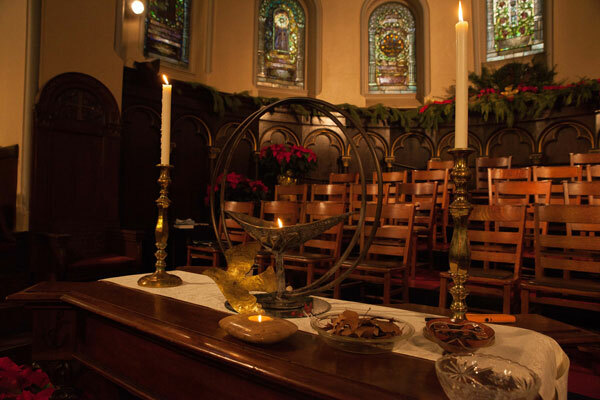 No matter the season or belief, our worship is open to all spiritual seekers and willing participants in our community. You will be challenged, affirmed and enlightened. Sermons are deeply theological, intellectual and inspiringly human. Readings are topical. Services invite congregational participation, and always there is time and space for meditation and reflection.